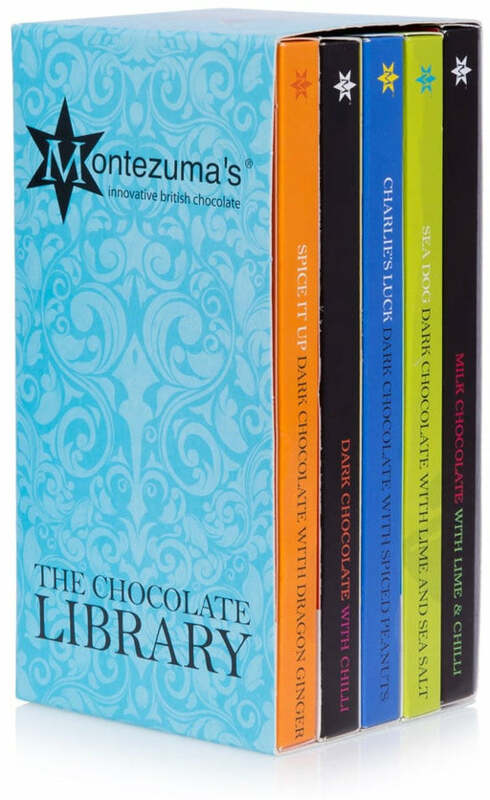 A selection of delicious artisan made chocolate bars from Montezuma's, featuring five unique and delicious flavours. The Radical Bar Library contains five 100g bars of chocolate, all of which are made in the UK my master chocolatiers. The radical library flavours include Dark with Dragon Ginger, Dark with Chilli, Dark with Spiced Peanuts, Dark with Lime & Seasalt and Milk with Lime & Chilli. Please note these flavours are subject to change according to stock levels. Free from gluten, wheat, palm oil, GM ingredients, artificial preservatives, artificial flavours and artificial colours. Suitable for vegetarians. Made in the UK. May contain traces of peanuts and sesame seeds. 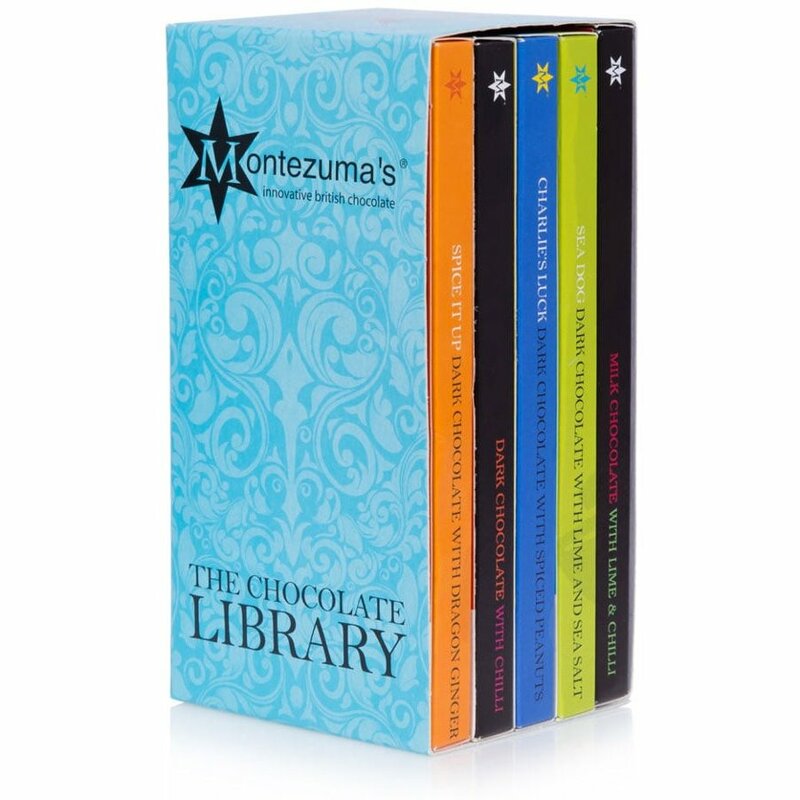 There are currently no questions to display about Montezuma's Chocolate Radical Bar Library - 500g.